Waited too long to land a reservation at Chez Nous, the Driskill, or Romeo’s? Don’t fear! That Other Paper has a few suggestions that will shoot an arrow straight through your lover’s heart (in a good way). If you or a friend don’t feel up to the task of driving home, please call Austin Sober Ride. They will provide a free taxi (up to $30) from 11pm to 3am. Save this number in your cell phone: 512-657-2999, and don’t forget to tip your driver! Dude, where’s my misdemeanor citation? The Texas Legislature approved a law in September that allows any Texas county to issue misdemeanor citations for a number of small, non-violent offenses, including possession of less than 4 ounces of marijuana, but Travis County is the only jurisdiction in Texas to actually implement the new process. The new measure not only saves time and money for an offender, but helps reduce overcrowding expenses in Travis County jails. Georgetown citizens sent in several calls Friday morning to Georgetown PD to report graffiti in Chautauqua Park and Kelley Park. According to Georgetown city officials, Sergeant Cory Tchida of the Georgetown Police Department Intelligence Unit believes the graffiti appears to be gang-related. Do you provide a strict allowance for your significant other? Do you NOT seek refuge in the comfort of sweet, silky chocolate if you discover your co-workers gossiping behind your back? Do you shave in the morning, but have a 5 o’clock shadow by noon? Used to arriving at the airport an hour before your departure? Officials at Austin-Bergstrom International Airport would like to remind Austinites traveling during the Thanksgiving travel season (Tuesday, November 20 through Sunday, November 25) to show up at least two hours before your scheduled departure time. To reduce security checkpoint wait times, check out this list of prohibited items. 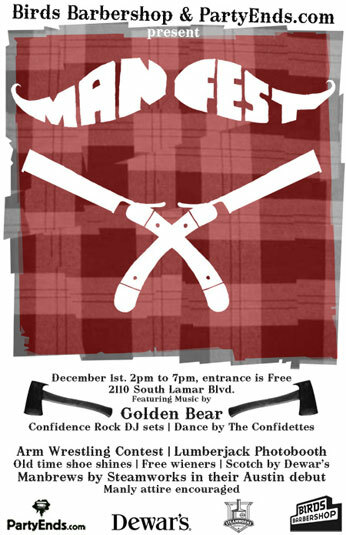 The 41st Annual Zilker Park Festival of Lights is only 25 days away. 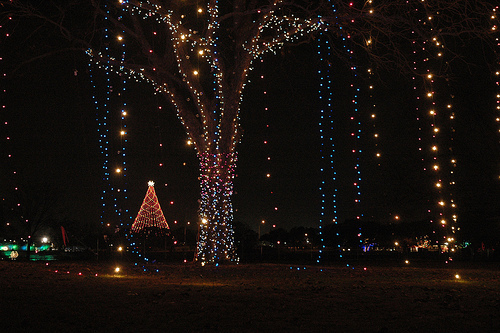 Maintenance crews have begun to assemble the tree composed of over 3000 lights at the Zilker moonlight tower this week. The official opening ceremony will be held on December 2. Watch out, Austin drivers – Downtown may soon become a Red Light District. 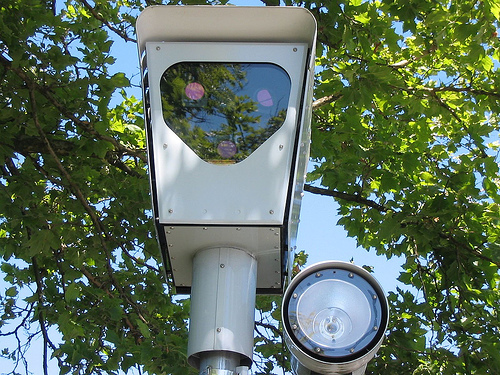 Austin’s red light camera pilot program has ended, and the Austin City Council will soon approve funding for additional cameras to be installed around town. Looking for something to do on Halloween? We have some ideas for you. Watch out Accord owners! The Austin Police Department has released vehicle theft statistics indicating that 358 of the popular Honda sedans have been broken into or stolen since January 2007. 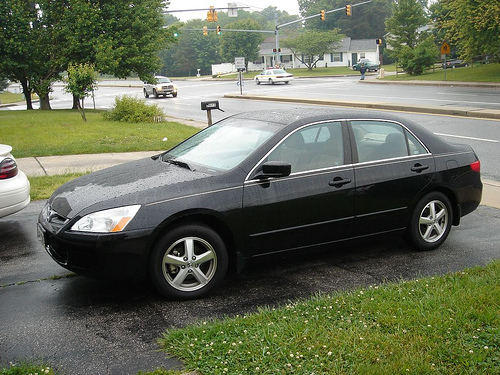 This is a marked increase of only 170 Honda Accord thefts in 2006. Whole Foods’ bid to buy out Boulder, Colorado-based organic grocer Wild Oats has been delayed by the Federal Trade Commission, despite a deal reached between the two companies in August. APD officers are getting a maakeeovveeer this fall with new uniforms, badges, and patches — and a hot new paint job for their patrol cars. 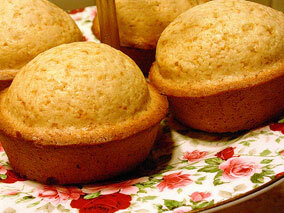 Two Dallas-area teenagers accused of baking marijuana-laced muffins and leaving them in their high school teacher’s lounge for faculty to “enjoy” have pled guilty to two second-degree felony charges of tampering with a consumer product and three charges of misdemeanor assault. Under a plea bargain, they will serve seven years of probation, perform community service and pay a fine of $13,000. 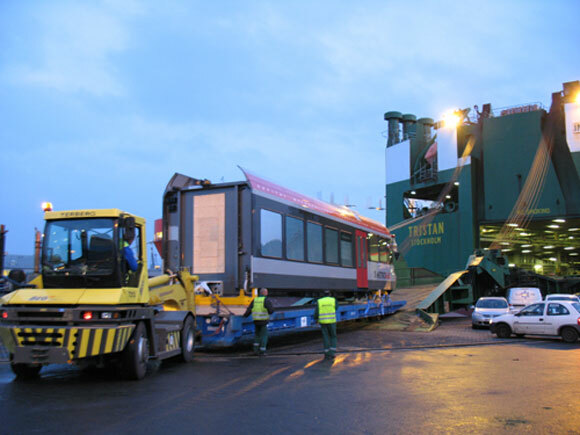 Two commuter rail cars ordered by CapMetro have arrived from Europe. Four additional cars are expected to be delivered by April 2008. 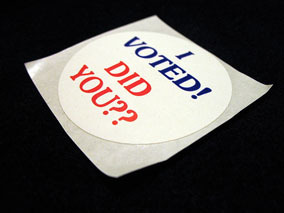 Excersise your fingers and your right to vote starting today through November 2 at early voting locations throughout Travis County. Authorizes the Lege to reduce homestead taxes for disabled veterans. Austin-area teens should be weary if their school is competing against Blanco High. 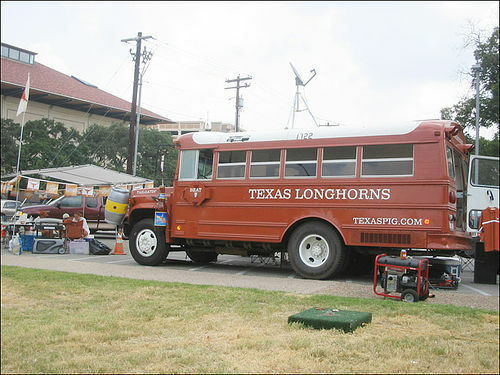 At a recent volleyball tournament against the Comfort High Deers, Blanco students cheering their team on held up a banner that said “Slaughter the Deer,” referencing both their opposing team and the “rotting, bloated carcass of a 90-pound doe [they left] in [Comfort High’s] bus” before winning the game. Fireman’s #4 in a bottle! 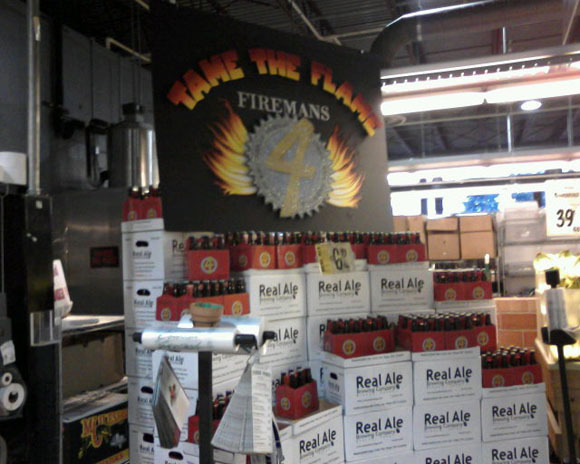 Anyone who has dropped by Central Market in the past couple of weeks may already know this, but Real Ale Brewery has finally started bottling Fireman’s #4. Calling all politicos and FY 2007 agriculture appropriations enthusiasts: That Other Paper has organized a Capitol grounds itinerary!